We are thrilled to announce that we won a major national industry award at a wonderful awards ceremony in Edinburgh earlier this month. 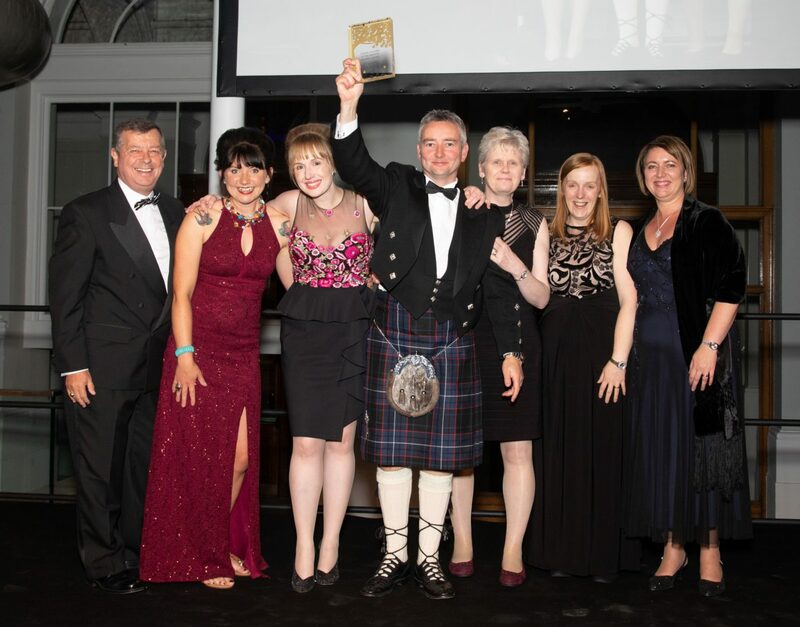 A team of five of us travelled to the Golden Charter Awards in the National Museum in Edinburgh hoping to win the title North of Scotland Regional Funeral Planner of the Year for the sixth consecutive year. And we did. But as well as winning that regional title, we were delighted to also be named National Funeral Planner of the Year, against 3600 other firms. This is a huge achievement for our small Highland team. Maintaining our position as Regional Winners for an area that covers Dundee, Perth, Fife, Aberdeen and the whole of the Highlands for six years in a row was a big enough challenge, but to bring the national title home to the Highlands is just incredible. Credit must go to the whole team, the John Fraser & Son family. This award places us at the forefront of funeral planning in the UK. We are finding that more and more people are finding comfort from planning their funerals in advance, and we are happy to help talk you through that process. Documenting your wishes in a fully-flexible pre-paid plan can bring peace of mind, both for you and your family, who might otherwise need to make important decisions quickly, at a time when they might not be best placed to do so. But it also makes sound financial sense; a plan bought today means you are securing future funeral services at today’s prices.